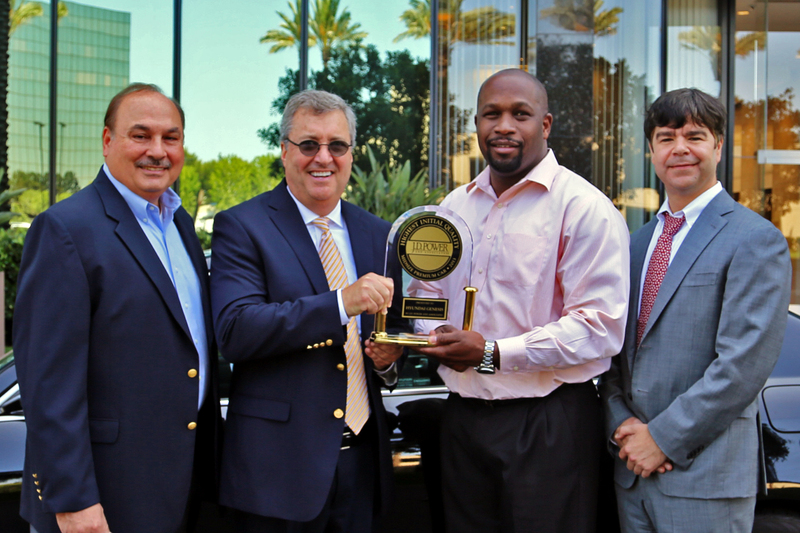 Hyundai Genesis Awarded by J.D.Power ! Highest Initial Quality Segment Ranking! - Muscle Cars Zone! Hyundai Genesis Awarded by J.D.Power ! Highest Initial Quality Segment Ranking! Hyundai Genesis received the trophy from J.D. Power in the mid-size premium segment. The biggest Korean carmaker was awarded for the highest initial quality according to the 2013 U.S. Initial Quality StudySM (IQS). This was the 27th Initial Quality Study. This respectable institution is the industry benchmark for all new vehicle quality which is measured at 3 months of ownership. In this year`s study Hyundai Genesis owners reported fewer problems than any premium mid-size car. Hyundai as brand reduced problems per 100 vehicles and finished in the Top 10 overall (8 rank position). The Hyundai score was 106 problems on 100 vehicles produced, 7 problems fewer than the industry average. Hyundai models: Accent, Sonata and Azera were ranked on the 2nd place and all-new Santa Fe was ranked 3rd in their segments. (From left to right) Executive Vice President of Customer Satisfaction for Hyundai Motor America Frank Ferarra, Senior Director of Global Automotive for J.D. Power Bob Neis, Director of Engineering and Quality for Hyundai Motor America Erwin Raphael and Senior Director of Global Vehicle Consulting for J.D. Power Geoffrey Mortimer-Lamb.